This post has already been read 5232 times! KEARNEY – It was a Monday. June 8, 2009. The summer between his seventh- and eighth-grade year. The day Luke Grossnicklaus had his right leg amputated just above the knee. One thing that was certain? The constant support and encouragement from his parents and two brothers. Grossnicklaus was diagnosed at age 4 with scleroderma, a chronic disease that causes the body to attack healthy tissue. The disease settled in Grossnicklaus’ right leg, which prompted the leg amputation. Luke’s parents, Kelly and Karen, had one constant following the amputation. “The rule was that they weren’t going to look at me as someone with a disability. 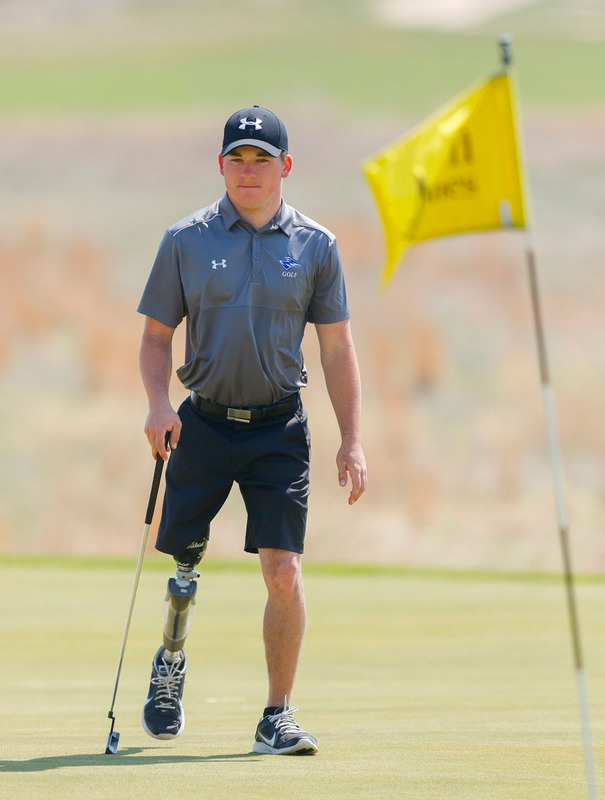 My family treated me like a normal kid with two normal legs,” he says. That meant no mercy from his brothers, Ryan and Ben. 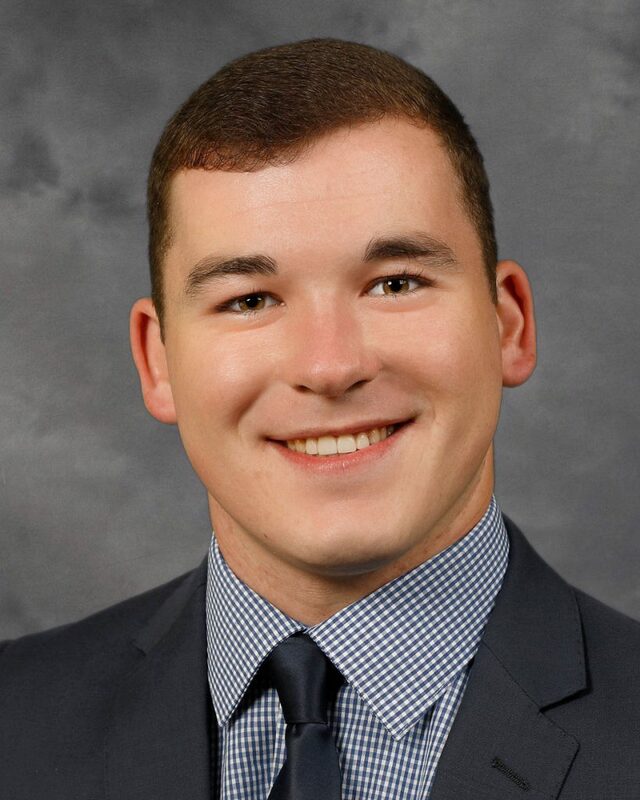 Grossnicklaus, 21, is a senior secondary business education major at UNK. He will graduate in May 2018. 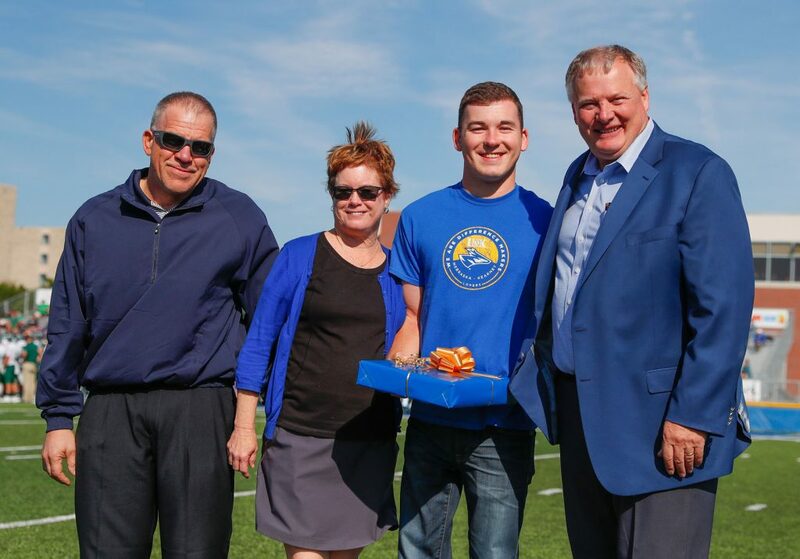 On Saturday his family was honored with the university’s 2017 Outstanding Family Award, which is sponsored by Loper Programming & Activities Council. The recognition is given based on what a student most admires about his family, and how family members have encouraged the student’s education and had an impact on his academic and personal life. The Grossnicklaus family was featured in the UNK Homecoming Parade and introduced during halftime of the homecoming football game. 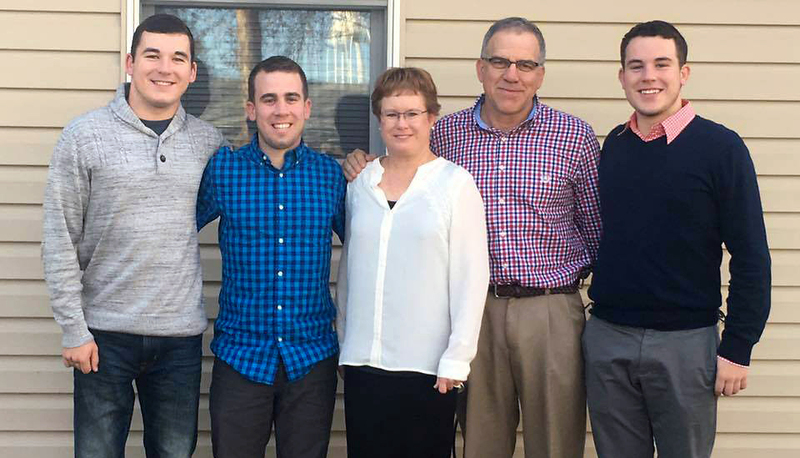 Luke’s family has strong ties to UNK and the University of Nebraska. His father, Kelly, graduated from Kearney State College in 1981. His brother Ryan graduated from UNK in 2013, and his brother Ben attended UNK as a pre-nursing student from 2013-15 before becoming a registered nurse. His mother, Karen, graduated from the University of Nebraska-Lincoln in 1983. “My parents and brothers have always encouraged me to leave my own legacy,” Grossnicklaus says. “It can be intimidating to follow family members who have had so much success at UNK, as well as with their careers. Grossnicklaus is a member of Sigma Phi Epsilon fraternity, where he has served in multiple leadership positions, including president. He also has served as Interfraternity Council president and treasurer for Greeks Advocating for the Mature Management of Alcohol. 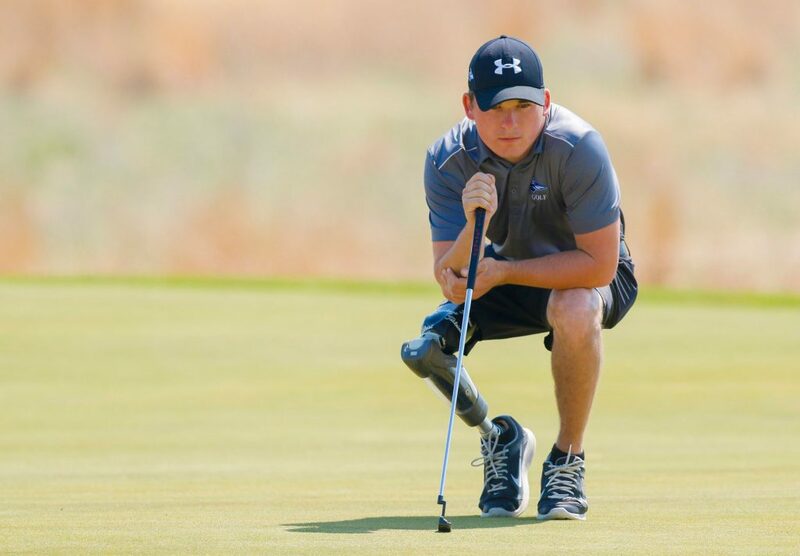 His UNK involvement also includes playing on the Loper golf team and serving as a Student Diplomat, New Student Enrollment Leader, and member of Mortar Board, Honors Program and Order of Omega. Parents: Father, Kelly, graduated from Kearney State College in 1981 with B.S. in Business Administration. He is chief financial officer at Preferred Popcorn in Chapman. Mother, Karen, graduated from UNL in 1983 with B.S. of Fine Arts. She works in the Hamilton County Treasurer’s Office. Brothers: Ryan, Omaha, graduated from UNK in 2013 with B.S. in Business Administration. He works for accounting firm KPMG. Ben, Phoenix, attended UNK for pre-nursing studies from 2013-15. He works as a registered nurse for Banner Health’s progressive care unit in Phoenix.